Winnowing Woman: "do I know you" interview seven: terry and susan r.
"do I know you" interview seven: terry and susan r.
Okay. This one's a cheat. Of course I know these people . . . I mean as much as you can know your PARENTS. Yep, it's my 'rents' turn to be interviewed. Today there was a family reunion in South Carolina, one state up from where we call home. It was a gathering of my father and eleven other maternal cousins, all of their children, and grandchildren. It blows my mind that some of these "first friends" - as cousins so often are - haven't seen each other face-to-face in fifty or more years. It blew my mind even more to look into the faces of these men and women and see familial resemblances; to see cousins that look like they could be my dad's brothers, to see cousins that look exactly like great uncles, to see great aunts and cousins that look just like my grandmother, to see my own kids in the faces of distant relatives. Family is amazing. It's a grand design. The day just leaves me feeling there is no more suitable interview to post than that of my parents'. 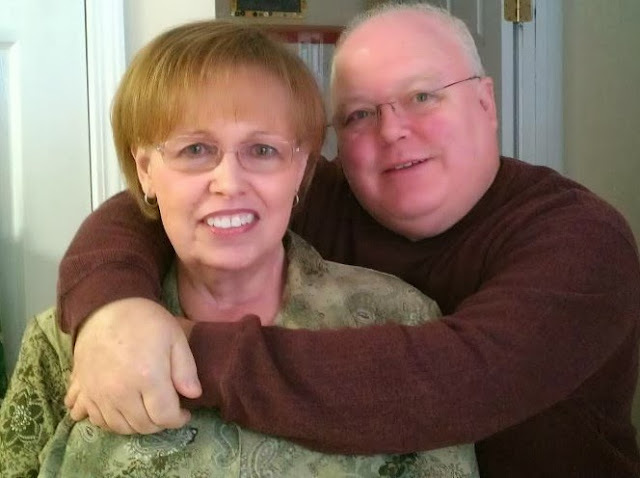 Meet Terry and Susan R.
A few words about Susan: My mama. Those words mean a lot more to me now that I hear them spoken to and about myself. She is so much to me. Mom is a lot of things that get confused for something else. Mom is quiet, but not necessarily shy. She is reserved in offering up too many opinions - even at times when I may want her to - but she lacks nothing in her steadfastness and conviction. She married someone gregarious and full of stories and is most days quite content to let him shine, but she is hysterical and brilliant and a storyteller of the highest caliber. Her entire existence reminds me of the eternal reality of still waters running deep. Mama worked a full-time job my whole life, came home everyday to wash our clothes and cook our meals, and I never once felt like I didn't have all of her for myself. I don't know how that happened. Now that I am a wife and mother - and just a grown woman - I'm not sure how she managed to do all that she did; be a woman, a wife (a pastor's wife at that), raise two daughters, work all day outside the home, and then keep the house going. Even now I shake my head in wonder at it. She made beautiful things for our lives out of what I know now that I am an adult was often really tough stuff. Now she is the "Tunan" of my children's heart, still the holder of my dad's deepest affection, and my friend. 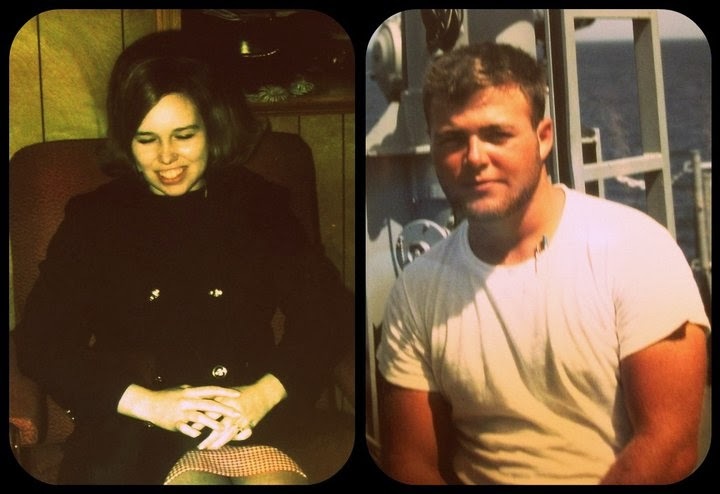 A few words about Terry: My daddy. As a young man could he ever have imagined that his life would be spent in the company of so much estrogen via a wife and two daughters? I doubt it, but he is our man. Dad is a lot of things that get confused for something else. He is rarely a man of few opinions and is usually pretty willing to vocalize them, but they're never hollow observations; he watches and listens and discerns in an uncommon kind of way. He's a man comfortable in large crowds and center-stage among an audience, but he'd rather sit and see you eyeball to eyeball and hear your heart. He is so funny and so full of stories that never get old in the hearing because of the way he loves to tell them, but there's a quiet and a reflection he's found he needs that refills him more than storytelling can. Dad became a full-time vocational pastor straight from the business world when I was nine years old. That was almost thirty years ago. In all of this time, never once have I seen my dad act as if he's "arrived" at some superior level of personhood or spirituality because of his calling or experience in ministry. He worked out his faith right in front of us, messes and all, while he and Mom raised my sister and me. Through breathtaking highs and devastating lows, Dad maintained integrity and grace. Even now I shake my head in wonder at that. He made stable, enduring things for our lives out of what I know now that I am an adult was often really tough stuff. Now he is the "Papa" of my children's heart, still the hero of my mom's soul, and my friend. "A few words" about them is so hard. My bedrock has their names carved into it. They're quite literally in the fiber of my being. I love them. Now, their words . . .
Terry: Husband, father, FIL, Papa to 7 grands, SIL, Proud Veteran (GO NAVY! ), Christian Sojourner, Reverend when necessary. 2. How did we meet/how do we know each other? Susan: We met in a hospital after actually knowing each other for nine months. I've known you longer than anyone else on earth. Terry: We met in a dark delivery room in May, 1977. Terry: Faithfully, forever, no matter what and for always happily married. 4. What’s the greatest thing about being single or married? Terry: Marriage represents for me the best of stability, faithfulness, commitment, caring beyond myself, abiding love and adventure. 5. What was your first vehicle? Love it or hate it? Why? Susan: My first myveryowncarofmyown was a 1998 Toyota Corolla. I loved, loved, loved it. It was easy to drive, good on gas, and quite dependable. However, the first car we had as a married couple was a new 1970 Ford Maverick. I liked the car but I hated it because it had no air conditioning and we lived in Key West, Florida, for Pete's sake! Terry: 1956 two-toned green Plymouth with a drivers door that would not open. I loved it because it was my first. 6. Beach or mountains? Why? Susan: Mountains. Nobody looks at you funny because you're not wearing shorts or a swimsuit. Terry: Beach! Breezes, smells, vistas, food, endless water, shells, beach music, memories of sailing the seas in younger years. However, I love the mountains as well because the love of my life loves them more than the beach. She has taught me over the years to love them as well. 7. Darkest time of your life? Susan: There have been a lot of sad times, grieving times, hard times...but somehow I don't think of them as dark times because there was always a glimmer of light in there somewhere. If I had to pick absolutely one, it would have to be when my father died when I was thirteen. Terry: 5 years of hellacious depression. I lost my way badly. It was a lonely, painful journey out to see the blue skies and a sense of hope again. May God never be required to guide me through those valleys again. Susan: That one is impossible to answer with one memory. I loved my childhood up until the teen years. We had a very happy, loving extended family. Terry: The smell of sausage and eggs frying in a cast iron pan over an open fire as Dad prepares breakfast for my brother & I. Our red, plastic corks bob in the water in the early morning light at our favorite, private fishing ponds. Daylight is just arriving. The air is cool. The wind is non-existent. The birds are just beginning to express their pleasure at the dawn of a new day. The fish are jumping. Anticipation of the coming catch is high. We have Dad all to ourselves for the entire day. And all is right with the world. 9. What would people be surprised or shocked to know about you? Susan: Maybe how many different abodes I have lived in - twenty-four that I can actually remember - more when I was a baby/toddler before my rememberer kicked in. Terry: I used to have a head filled with hair. I was once thin(er). I can still sing better than many. I have visited the Taj Mahal - twice, the Great Pyramids, Victoria Falls, Christ the Redeemer in Rio, the Dead Sea, Damascus, and a gazillion (maybe not quite that many), other sights and nations. I was once bitten by a venomous snake and (obviously) survived. I was very shy as a kid (HUGE surprise for anyone who knows me now!). 10. What work of art (book, music, etc.) has heavily influenced you? Why? Susan: Absolutely, the Bible. This is my foundation and everything I believe is based on it. Terry: Of course, the Bible has directed & guided my life and still forms the real person that I am. Then there is my ever-present love of music. When I was a boy and teenager, my father introduced me to the Letterman. That is when I fell in love not only with their harmonies but with the whole idea of vocal blend. I love singing harmonies. There is not much evidence of that in modern Christian and secular music these days, and that is a shame. Music now seems to be dumbed-down to unison or maybe two part harmony. How sad. I would have loved being in the music industry of the 40's, 50's & early 60's. Those were the decades of harmonies at their finest heights. 11. Favorite place you’ve traveled to? Why? Susan: My favorite place is Alaska. The beauty of it is astounding. A close second is San Diego, specifically Point Loma. Terry: Too hard to pinpoint. I have seen the world in my lifetime. Beauty abounds on this planet. All of it is a reminder to me of the glory, the majesty, and the endless boundaries of God's creativie abilities. Sorry for the copout on this one, but favorites are too numerous to count. 12. What brought you to the city you live in now? Susan: A Toyota Corolla. (Sorry. I couldn't resist.) We came to Georgia for your father's work many years ago. We've always loved Athens and this is where we wanted to live out our days. Terry: I accepted a pastoral position in the mid-80's here in the Athens area. 13. What is your favorite trait about yourself? Why? Susan: I crack myself up when I misread things. Sometimes the misreading is hilarious. Terry: I never meet a stranger. 14. Vintage or brand new? Susan: Vintage furnishings. New underwear. 15. Fill in the blank: It’s quiet and no one is around. I think I will __________. Susan: . . . answer Jessi's questions! . . . do my Bible study, read a book, play the piano, watch TV. Terry: . . . sleep. 16. What would you describe as one of your biggest triumphs in life? Susan: Walking with God, staying married, raising incredible daughters, surviving cancer, retiring before I lost my edge. Terry: 43 years of marriage with 38 of them being incredibly wonderful years. There were those first 5 pre-Christ when I was such a hopeless, selfish, lost turd of a human being. Terry: City! That is where the crowds are found. Remember: I never meet a stranger. 18. If today was your last, what three things would you do? Susan: Make sure that all of my loved ones know that I love them and expect to see them in Heaven, hug my husband for a long, long time, and buy him a Chihuahua. Terry: a. Hold my wife -- long time. b. Pray with thanksgiving for a wonderful life and the anticipation of the life to come. c. Reaffirm my love in person to each member of my immediate family. d. Hold my wife -- long time. 19. Fast food or “just say no”? Susan: Mostly, just say no. Except for milkshakes. 20. If you got a tattoo (or another one) what would it be? Susan: I would never get one, of course, but if I did - maybe a teeny, tiny heart on the bottom of my foot. Terry: I have seen some amazing tattoo in my lifetime. Some were awe-inspiring. Others were just there begging the question, "Why?". However, for me, I have no interest in art work to accentuate my body parts. Jessi, thank you for the wonderful, beautiful words. They made me cry and I'm not worthy of them. ILY. Beautifully written about fantastically lovely folks who have blessed my life. I wanted to read more, hear more, learn more. Very cool Jess, very well done. What wonderful descriptions and a testimony of two fine people creating joy and raising mature godly daughters. Your loves and frankness and relationships with God are a blessing to read about! Thank you, Blondie, for honoring us with your words. It has been an amazing life with dreams and hopes of many more adventures to come with Susan and all of our dear family. I love you so much. A great story of two special people to so many!